Cheap Payday Loans from LoanNow! 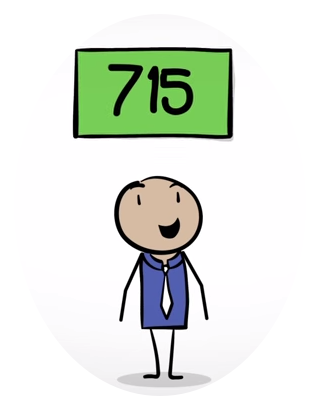 Anyone who has ever considered getting a payday loan knows that they’re an extremely expensive form of credit. Cheap payday loans simply do not exist. Besides being inherently expensive, payday loans are structured so that you are likely to end up paying many times more than you borrowed before your loan is finally paid off. LoanNow doesn’t offer cheap payday loans or any payday loans – we are not a payday lender. Instead, we offer borrowers an opportunity to borrow the money they need without the wait associated with bank loans and without falling into the payday loan trap. LoanNow is one of the best possible alternatives for financial emergencies. Many people dealing with financial emergencies also have damaged credit and few assets outside of one or two valuable personal possessions such as a wedding ring, a laptop computer or a Smartphone. For such people pawn shops offer one of the few available options for obtaining credit. But just as there are no cheap payday loans, there are no inexpensive pawn shop options either. In fact, Pawn shops represent one of the most expensive forms of secured loans. Besides forcing you to surrender your property in exchange for their loans, pawn shops only loan you a fraction of the actual value of each item. You must also pay a steep fee in addition to the amount that you borrowed within the deadline, usually 30 or 60 days, or relinquish possession of your property for good. You may have seen Internet ads touting “low” interest rates and fees for so-called cheap payday loans. But if you read the fine print, those rates only apply to the initial loan, which usually must be repaid in full on your next pay date. If you’re paid weekly, you could be expected to repay your loan within just a few days. But according to the Consumer Finance Protection Bureau, four out of five payday loans are rolled over at least once. In fact, the average payday loan borrower takes out 8 payday loans annually and remains in debt for five months out of the year, according to the Pew Internet Trusts. It’s easy to see how many borrowers eventually wind up paying double, triple or even quadruple the amount they actually borrowed before they are able to close out their payday loan accounts. 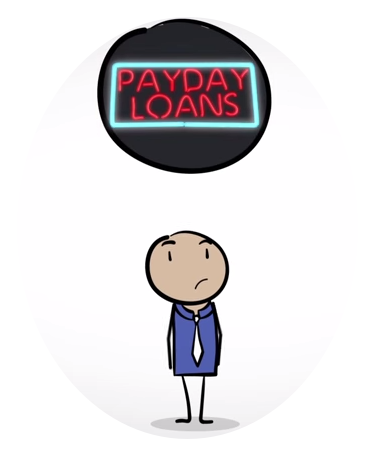 With LoanNow, you won’t find misleading ads for cheap payday loans. Our transparent fee structure lets you know exactly what you’ll be expected to pay. Our repayment schedule features manageable monthly payments, not payment in full in just a few days. And we say no to collateral and rollovers. We provide the convenience and speed of an online payday loan and the manageable repayment terms of a bank. If you need money now, try LoanNow! More Resources on Looking for Cheap Payday Loans?